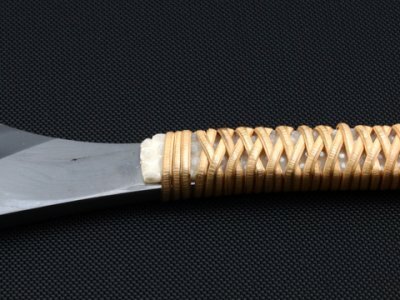 [KANETAKA] Japanese Razor (Left handed, Large, Lamination, Stingray fin & Rattan winding, etc) is a Japanese Razor (Kamisori shears). The product of the blacksmith in traditional Japan . This is the luxurious Japanese razor which made steel lamination and built it. 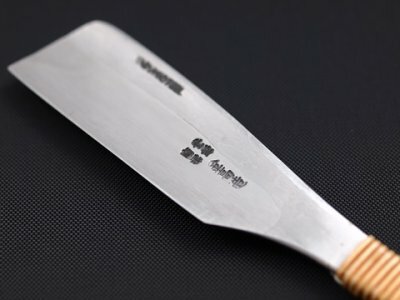 It is a Japanese razor which can be made since it is KANETAKA in which Master of a forge and Master of grinding are. Attaching the Stingray fin to the handle, and , wound by rattan finished. It is made of highest-class YASUKI steel currently used for the Japanese sword. It is the highest excellent piece also as a collection. It is said that grinding of a Japanese razor is difficult. Fact that's right. 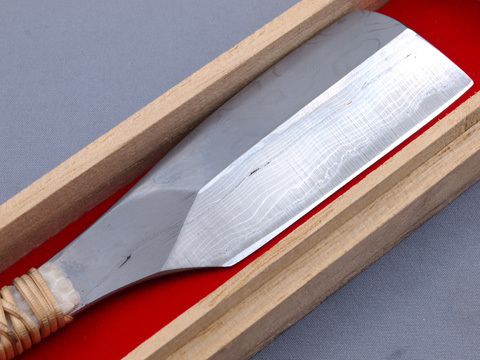 However, steel is contained in the summit portion of the Japanese razor of this KANETAKA. There is no phenomenon in which iron of the summit portion which was the conventional trouble is shaved thinly, any longer. Since it is easy to sharpen well, high evaluation has been gained. Probably, many of those who purchase are persons familiar to a Japanese razor. But if you want to use a Japanese razor by beginners, first of all, please ask. Tonsure, a mustache is shaved. Downy hair is shaved. 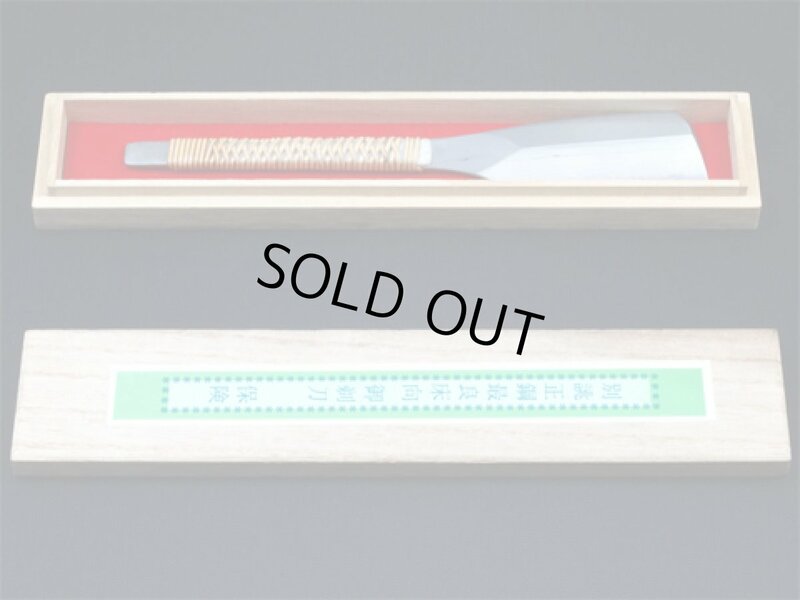 After receiving an order, in order to produce, it will be necessity about 1 month to send. A store and a factory are in front of the head family of the flower arrangement "Ikenobo" which is proud of the membership maximum by the oldest, and the birthplace. Also only by record remaining, it is a long-established store of seven generation at 200 years. 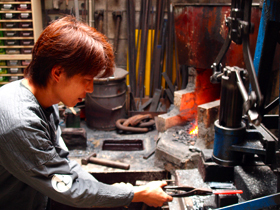 Mr. Kazuhiro Yamada of the eldest son inherited Master of sharpen, and Mr. Yoshitaka Yamada of the second son has acted as the blacksmith craftsman.
. 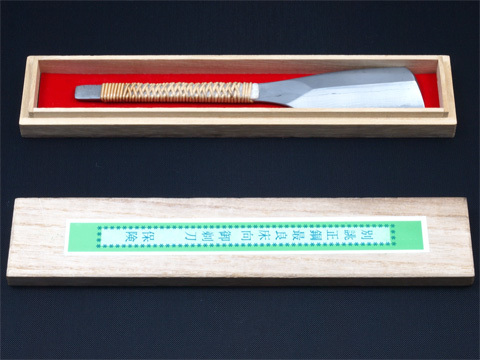 Traditional products, such as a Japanese razor, the Ikenobo scissors, etc. which learned the method of making from an expert, are made from KANETAKA. In addition to them, idea goods, such as a herb clip, a pencil sharpener, and a knife that deletes the reed of a wind instrument, are also produced broadly. * please do not drop. * please do not shave except human hair. * when frequency in use is low, please wrap in an oilpaper and keep it.